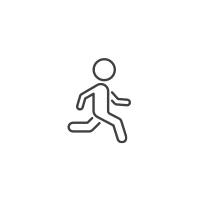 their bodies, but their spirits. 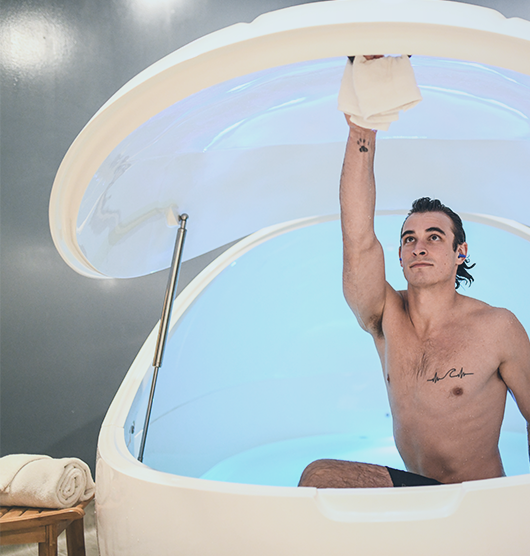 Float to relieve stress, recover from injuries, eliminate chronic pain, and experience deep relaxation. Floating, also called floatation therapy, is a practice that involves an enclosed room or pod filled with a foot of water and 1,000 pounds of Epsom salt. is to elevate, and bring lasting change, to the consciousness and wellness of our community. Our wellness center is a welcoming sanctuary where you’re able to unplug, let go and heal. Find yourself in the quiet and align with your highest potential. 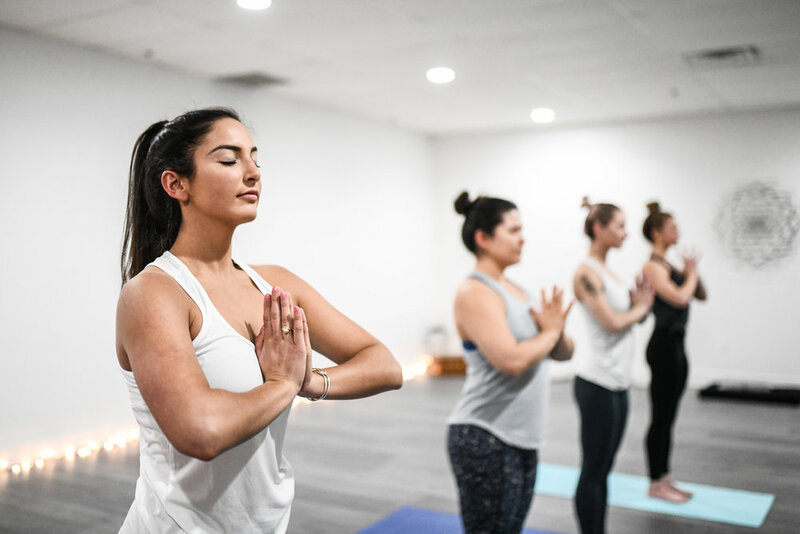 We offer a wide range of healing services including floatation therapy, massage, acupuncture, naturopathic medicine, craniosacral therapy, energy work and infrared saunas. Floating allows for the physical, psychological, and spiritual experience of quieting down, to relax your body and still the chatter in your mind. Floating, also called floatation therapy, is a sensory deprivation practice that involves an enclosed room or pod filled with a foot of water and over 1,000 pounds of Epsom salt. This healing practice helps to destress, relieve pain and bring clarity to your life. Relax and relieve pain with massage therapy! We offer a wide range of massage styles including deep tissue, relaxation, sports, prenatal, hot stone, aromatherapy, CBD and cupping massage. An approach to healthcare that recognizes the brilliance of nature and embraces its healing power to stimulate the individual’s inherent ability to heal. 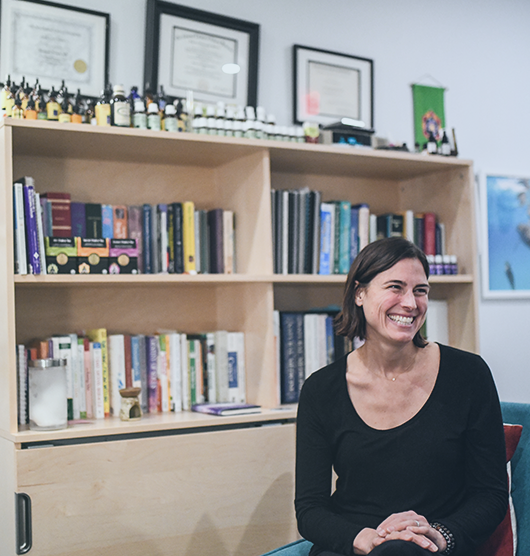 Combining a respect for common sense and a strong understanding of the complexity of the body, naturopathic medicine uses homeopathy, nutrition, herbal medicine, lifestyle counseling, therapeutic bodywork, and hydrotherapy to help restore balance and optimal health. An ancient system of integrative medicine used to alleviate pain and to treat various physical, mental, and emotional conditions, Acupuncture is a proven technique for balancing the flow of energy or life force, known as qi, in your body. It offers a gentle, painless way to help bring your body, mind and spirit back into alignment. A gentle technique that helps reset the nervous system and encourages profound healing by balancing the natural circulatory rhythm of the spinal column, allowing for a deep sense of relaxation and optimal functioning of the entire body. Infrared saunas are extremely useful to help detox the body, enhance immune function, lower blood pressure, promote muscle recovery, and improve circulation. They use a specific type of wavelength of light, called infrared rays, to generate heat, which is very effective at raising your core temperature and heating up your body, penetrating your tissue deeper than other types of heat. At Flōte Portsmouth, we offer the option of incorporating halotherapy into infrared sauna sessions.